This is is my second blogger award and am so happy about it, I was nominated for this award by two bloggers, Ashley and Stella, thank you so much for nominating me. Ashley is a lovely lifestyle blogger, she has amazing blog posts, please check her out, https://ashleygulley.com. 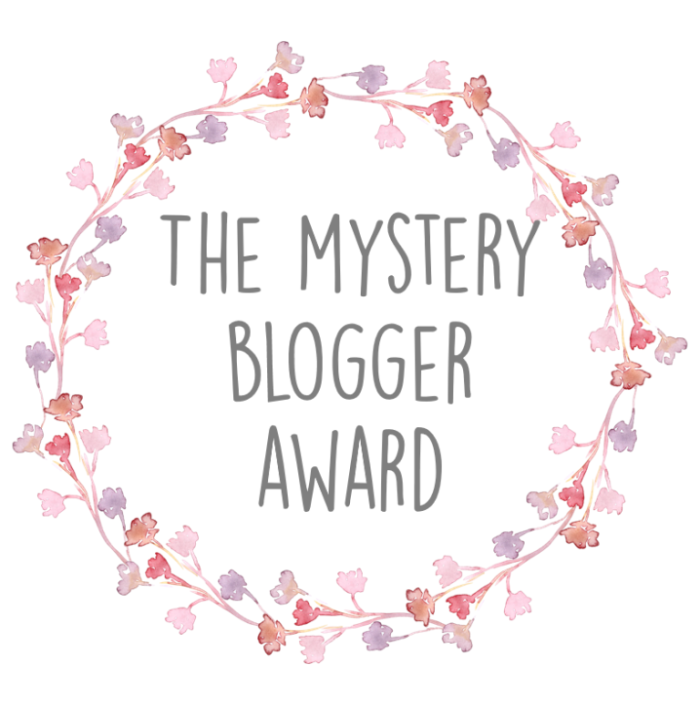 What is the Mystery Blogger Award???? I am bad at making phone calls, people always tell me I don’t call. It isn’t that I don’t care about others, I care a lot but….. no excuse. I am making effort to improve though. I hate biscuits, candies, sweets and chocolates right from childhood. Some of my friends think am weird because of this. What is your favorite thing about blogging? I love the kind and insightful comments I get on my blog posts and interacting with other bloggers, I have made cool friends here. What are you currently reading and/or obsessively watching? I am a Korean drama addict, am currently watching rooftop prince, legend of the blue sea. I also follow Indian TV series such as reach for the stars, twist of fate and king of heart. What is your dream vacation? I want to visit Seoul, South Korea especially Jeju Island. I want to experience Korea culture like I see in movies, can’t wait to try on hanbok (Korean traditional outfit), I guess I will look good rocking my natural hair with the hanbok, lol. Have been longing to eat Korean food such as Ramen/Ramyun and Kimchi. What makes you laugh!? I laugh a lot, spending time with my family and friends make me laugh. Korean romantic comedy dramas always make my day. Comics generally make me laugh but sometimes I laugh at myself too. Lol. What inspired you to blogging. Same answer as Ashley’s first question. What is your greatest motivation? My family, church and friends. What is the name of the best book you ever read? To me, the best book I ever read is the Bible. How has blogging impacted you? It has made me believe more in myself and it keeps me going during difficult times. What are you bad at doing? How important is healthy lifestyle to you? What is your greatest blogging achievement so far? It was great reading this post of yours. And thanks for the nomination. I’ll be doing this award later. Thanks always Suraj, you are welcome. Thanks so much Ruth, this means a lot. Love you too. Congratulations dear! I thought I was the weird thing of rocking hanbok and wanting to try kimchi so badly as I watch a lot of Korean movies also, story line are amazing and you just can never tell what is coming next. Thanks so much love…. You aren’t alone, I love Korean movies so much. Some people think Korean dramas are stupid, I just can’t seem to find any stupid thing in them. Stupid? Well, I enjoy them. Congrats! Also, I nominated you as well. Hope you have some time to check. Good job with your blog. Thanks… You did??? Not aware, sorry I didn’t mention you…. Thanks so much dear. I will check and answer your questions too. Thanks. No problem, don’t worry. Can’t wait to read your answers. Thanks so much, sorry I didn’t reply on time, just found the comment in spam. I will write a post on that soon. Did you saw “Doctor Crush “(Korean drama)? And how can you understand Korean language? Yeah I did and I love it, chingui (friend). Currently watching scarlet heart and rooftop Prince. They are subtitled in English. I understand few Korean words and statements. Saranghe. Thanks a lot. There are people that hate movies, it is always funny to me because I like a lot. Thanks dear, I will check it out.